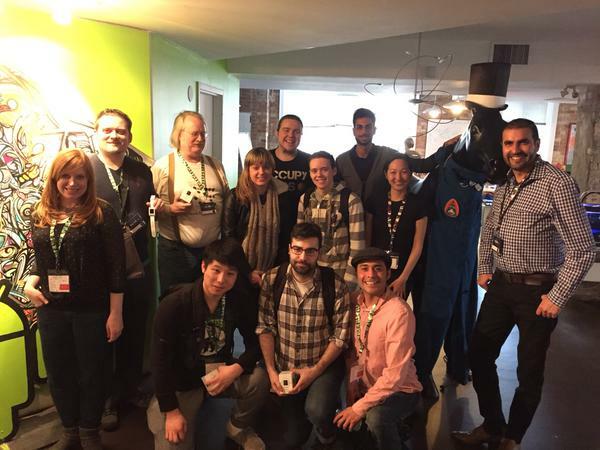 This past April, my project partner Oksana Salamaszek and I participated in the 2015 NASA SpaceApps Challenge in Toronto. Oksy and I had volunteered at last years challenge, which was held at the Ontario Science Centre. We were so amazed by some of the projects solutions that people were proposing that we decided we had to compete this year. Every year, NASA holds an international hackathon where, as the website states, “teams of technologists, scientists, designers, artists, educators, entrepreneurs, developers and students across the globe collaborate and engage with publicly available data to design innovative solutions for global challenges.” This year, the challenge was held at the awesome bnotions building and it did not disappoint. Having such a tool literally “at hand” could speed up follow-up activities for detailed studies of source activity and shorten the time spent on checking various sites. 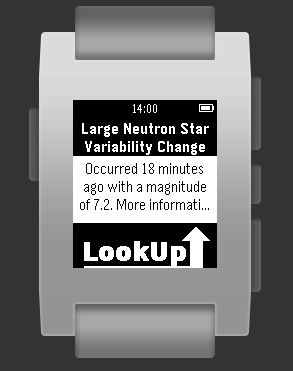 Also quick connection to other services, e.g, visualization of the active sources in already available astronomical apps could be interesting. 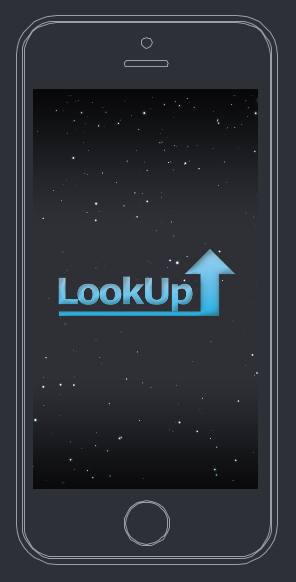 Daily news about astronomical events that would be useful for both professional and amateur astronomers alike – and on a mobile app? That sounded right up our alley. But what we didn’t realize going in was just how fragmented and disconnected the data from various astronomical sky surveys actually were. In fact, as we searched around for APIs or ways to access data from the CRTS, GCN, Swift, and Gamma Ray surveys, we realized that not only were there no easy ways to access this data, but most of these organizations had little to no communication at all. We did find one website that had mapped three different sources sources into a single table, but even then there was no way for a mobile app to get this data without some sort of screen scraping taking place. Oksana found what we thought would be the perfect solution, the VOEvent protocol, which was created by the International Virtual Observatory Alliance, but only a select few observatories actually used this standard for their data! In my opinion, this is terrible. 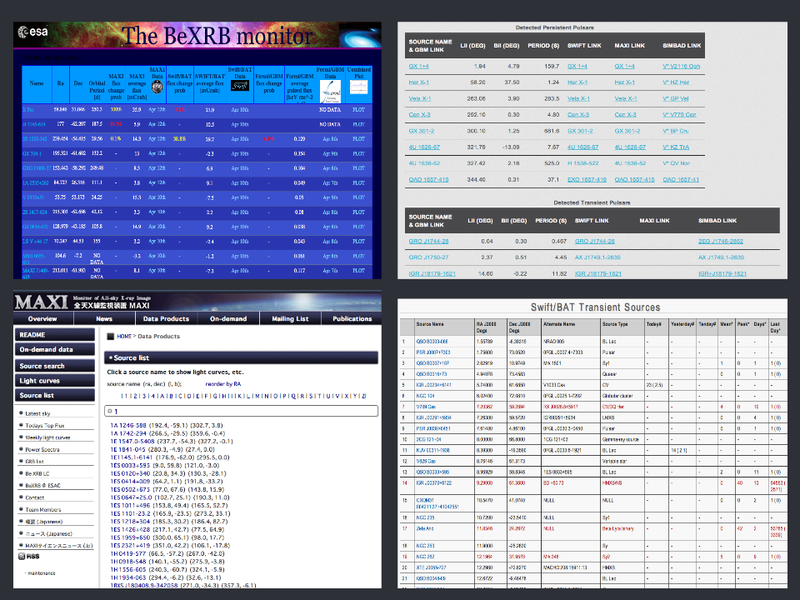 There is a tremendous amount of astronomical data being generated and posted on the internet, but nearly all of it is encapsulated in unmaintained, poorly formatted HTML tables. As frustrating and surprising as this was, it reinforced my belief that this project was worthy of finding a solution to. 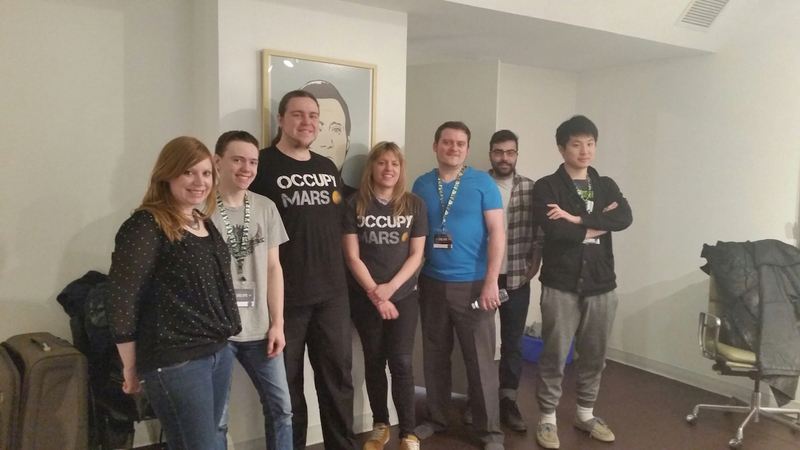 Thankfully, we were able to speak to last year’s winners of the Toronto Space Apps Challenge, who had endeavoured to create a web-based solution to this very problem. These very nice and incredibly helpful gentlemen confirmed that our frustrations were well-founded, as they had been spending the last year putting together a comprehensive API that would allow web and mobile applications to retrieve aggregated data from a number of surveys. When it came time to form our teams and start hacking away, we were very lucky to have put together a great team of talented people. Oksana and Tanyo O interviewed a number of professional and amateur astronomers from around the world in order to identify the most prevailing problems and needs when acquiring timely notifications and data regarding transient astronomical events. 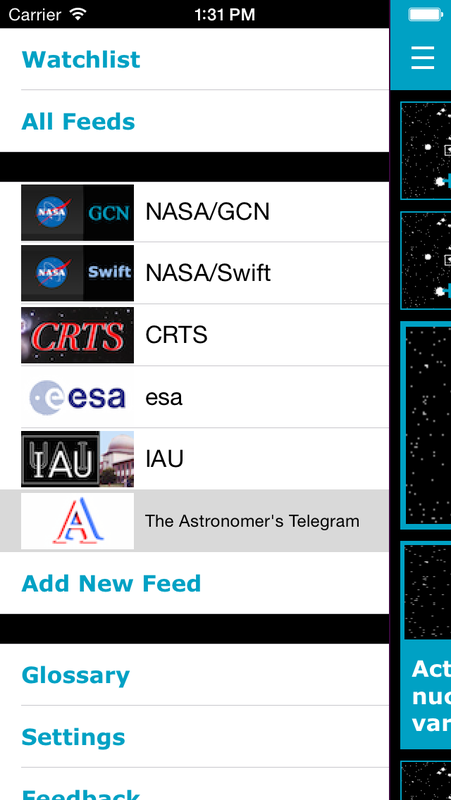 Based on their feedback, we created a Feedly-like application that would allow astronomers to access and be alerted to up-to-date events from data sources they could choose from. 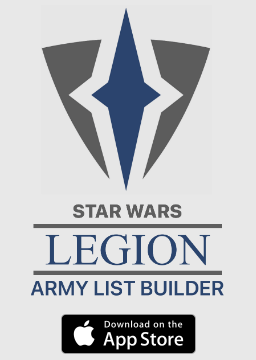 Jean C, a UI designer, was able to come up with some mockups for how the app should look very quickly as well as designing the logo and icons. Jim Rootham and Clement Hoang worked furiously at setting up some server side scripts for pulling in data and delivering it to our application in the form of JSON data. Stephan Diadem and Kanoa built a Pebble app that integrated with our iPhone application. Stephan also created a very interesting script that removed signal noise from the data images provided by the CRTS survey, providing clearer thumbnails for each event. 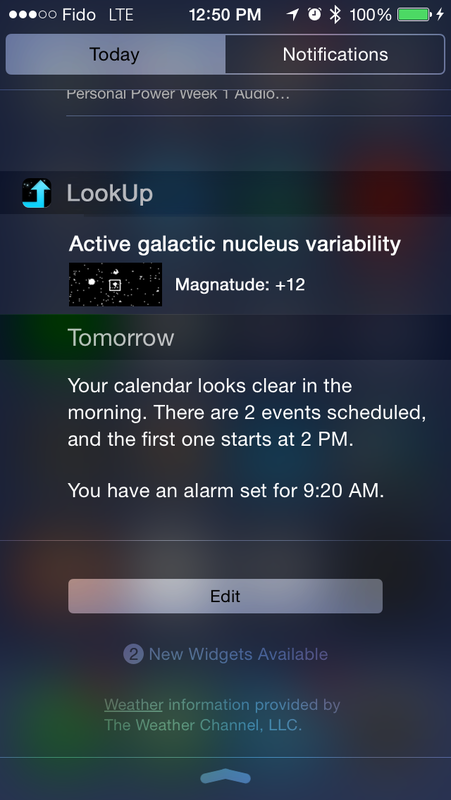 Notifications alert you of transient events shortly after they are discovered. Bookmark and store interesting events on your device so that they can be viewed when network connectivity is unavailable. In the end, much more interesting solutions were chosen, but we were pretty happy to receive an honourable mention in the Outer Space category! I was very proud of our team regardless, so I want to say thank you to Oksana Salamaszek, Jean C, Tanya O, Stephen Diadamo, Kanoa, Jim Rootham, Clement Hoang for all their hard work. I also want to thank bnotions for supplying their awesome venue, the guys at SkyWatch for their help and advice during the challenge, and most especially James Costa for organizing the event. ← HOOQ, the biggest deal between Hollywood and Asian Telecom in history, is now available in the app stores!